The English Civil War is over, but the wounds of the conflict are still raw. Young Lady Katherine Fanshawe is determined to save her inheritance from the grasping hands of the authorities, and build a brighter future for herself. Although Kate knows it is dangerous, she invites her rebel friends to live and work at Markyate Manor. But her plans are quickly blown apart when, after months of hard work, her stepfather returns unexpectedly, and evicts them all without pay. Kate’s friends are bitter and turn against her, accusing her of being cursed and a bringer of misfortune. Desperate to regain their sympathy and trust, she turns to highway robbery to pay them back. But Kate is not the only highway thief on the road, and her rival is intent on bloodshed and murder. Soon the local constable is hot on her trail for crimes she did not commit. Just when Kate thinks things can’t get worse, another secret begins to reveal itself – a secret that threatens her very life. In this struggle against her loveless family, militant authorities and an unforgiving winter, will Lady Katherine’s birth right turn out to be a blessing or a curse? Lady of the Highway is the final book of Deborah Swift’s Highway Trilogy. 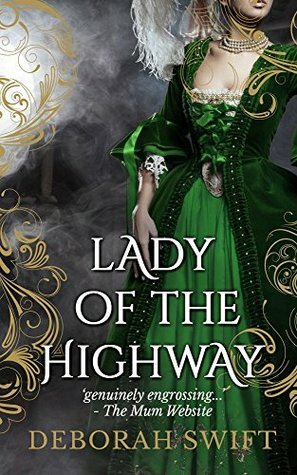 Lady of the Highway is Book 3 in The Highway Trilogy Series, though it does work as a standalone I highly recommend going to the beginning and starting with Shadow on the Highway and Spirit of the Highway. I was first introduced to Deborah Swift with her book The Lady's Slipper and fell in love with her writing style. 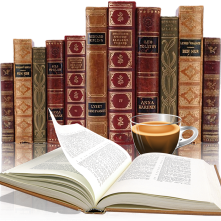 As a writer of the historical fiction she steers clear of the well-known characters and gives the reader a vivid glimpse into the lifestyle of everyday folks. Though her previous books were geared to an adult audience this series is YA though I think it will appeal to adults as well. I am not overly familiar with this time and the events that transpired which made me enjoy this series all the more, inspiring me to learn more. The term highway men always conjures up visions of the wildwest with stagecoach holdups and I never connected it taking place in England as well. I love how the author took a real historical figure and created this series. With each of the three books being told from a different point of view added that extra element of seeing the total picture from various angles. Lady of the Highway takes us to the view of Lady Katherine Fanshawe (Kate). As with any war there is always that struggle and conflict when it is over to rebuild ones life again. At the conclusion of the English Civil War the author was able to show the struggles from various sides, whether it was the Diggers, those that worked for the king or were opposed to him. The land was ravished and trying to rebuild your life was a constant struggle, families were pitted against each other as well as the paranoia of who you could trust and who to steer clear of. Again I was not disappointed with this author, it wasn't hard to get immersed in this story especially since being book three I was connected to the characters and understood their struggles. Again the Author's Notes were wonderful, reading what was fact verse fiction as well as historical facts of the timeperiod. I was unaware that the final book in the series was released in June and my thanks to Endeavour Press (via Netgalley) for a complementary copy for review. Deborah Swift lives in a stunning part of the world, the English Lake District. She used to work as a costume designer for film and TV, and loves researching the background to her novels. She has an MA in Creative Writing, and is the author of a number of historical novels, including The Gilded Lily, A Divided Inheritance, Spirit of the Highway, Shadow on the Highway and The Lady’s Slipper, which was shortlisted for the Impress Prize.